When we think of holiday lighting, we think of the bright glow of the Christmas tree, with its sparkling lights, glittering ornaments, and shiny tinsel. The holidays promise some of the most beautiful sights of the year. We’re here to give you some tips on safe holiday lighting in the hope that you’ll have the best Christmas ever. UL approved lighting is more widely available than ever before, even at the discount stores. Read the packaging before you spend money on anything electrical you plan on using in or around your home, including lights, electrical decorations, and extension cords. By the way, check out those extension cord ratings along with the strands of lights, to make sure they will handle the load. The rule of thumb is that no more than three strands should ever be strung together. When in doubt, use fewer. Another thing to consider? LED lights are cool in more ways than one! While we have your attention, have a look at these specially designed connection protectors. The Christmas tree lights win the prize for being the most significant source of holiday fire hazards. There are a few reasons for this. Many people use a cut Christmas tree, which is technically already dead, and just going to become more and more so as the days pass. Also, lighting strands are, by nature, delicate pieces of electrical equipment which become infinitely more hazardous when damaged. But, your curious pet, or even your baby, doesn’t realize this when they start chewing on those tantalizing strands of fun. Look for strands of lights with damaged, frayed, stripped, or melted wiring, and then check for loose or damaged connections. It’s important to find these flaws before you use them. After you check the strands for wire damage, plug them in for a test. Some strands won’t light if a single bulb is burned out, but that’s safe. What isn’t safe is that one burned out bulb can overheat the whole strand. Once you’ve checked everything out and made sure it’s in good repair and functional, it’s time to figure out where to hang these lights. For starters, indoor lights should be used inside the house. But, surprisingly, the outdoor lights need to be used outside. So, outdoor for outdoor and indoor for indoor. Just following the manufacturer's instructions will keep things legit. Now, to address the question--how should lights be safely hung? Once you get outside with the outdoor lights, put away your nails, staples, tacks, and other pointy objects. There are a ton of insulated, non-conductive hooks and holders and light hanging accessories you can use which won’t offer the possibility of gouging or piercing an electrical strand. The style you use depends on the type of lights and how you want to use them in your holiday decor. Once again, extension cords need to be rated according to their use. Once the fun is over, don’t wait until your neighbors decide to form an HOA to get you to take your holiday lights down! They’re not only prone to being gnawed on by rodents (or the neighbor’s cat, or curious deer), but they’re also prone to weather damage. After you take your lights down, wrap them neatly around pieces of cardboard, cover the cardboard in newspaper or another wrap to keep the lights safe, and store the boxes someplace where it isn’t overly hot or damp. In Arizona, it’s not uncommon to see holiday decorations in the hall closet or pantry. 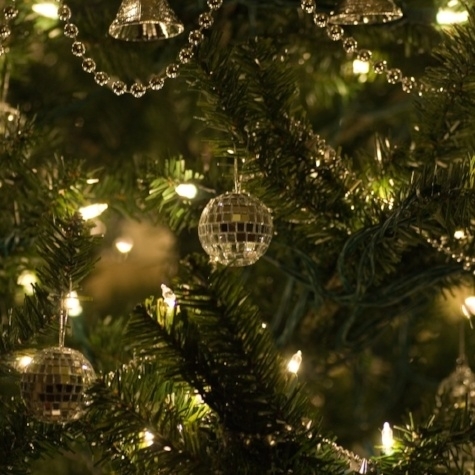 We hope that these tips have given you some ideas for a safe and exciting holiday lighting theme. If you happen to notice that one of your outdoor receptacles isn’t weather-wise or up to code, give us a call, and we’ll send someone out to take care of that.